Hongyan Li is associate professor at the School of Business and Social Science. 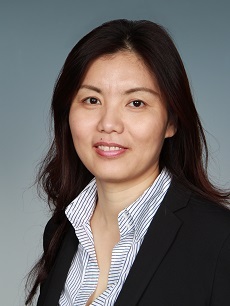 She received her PhD in Management Science from Lancaster University Management School, UK, 2007, and graduated from MSc in Management Science and Engineering and BSc in Statistics from Northeastern University, China. Her primary research and teaching interests are in Operations Management, Revenue Management and Operations Research. She has been engaged in several research projects in Management Science field. Currently, she is particularly interested in joint Operations and marketing optimization problems regarding service, retailing, and manufacturing industries. Hongyan Li and Shiming Deng. A game theoretical analysis of joint-rebate in platform-based retailing systems. European Journal of Decision Process. 2018, Accepted. Yongsheng Cheng, Hongyan Li, Anders Thorstenson. Double marketing efforts and advanced selling in a newsvendor framework. 2018. Computers and Industrial Engineering. Published online. Hongyan Li, Joern Meissner, Capacity Optimization and Competition with Cyclical and Lead-Time-Dependent Demands. Annals of Operations Research. 2018, Published online. Ata Marand Jalili, Hongyan Li, Anders Thorstenson. Joint Inventory Control and Pricing in a Service-Inventory System. International Journal of Production Economics. 2017, Published online. Quandary of Service Logistics: Fast or Reliable?